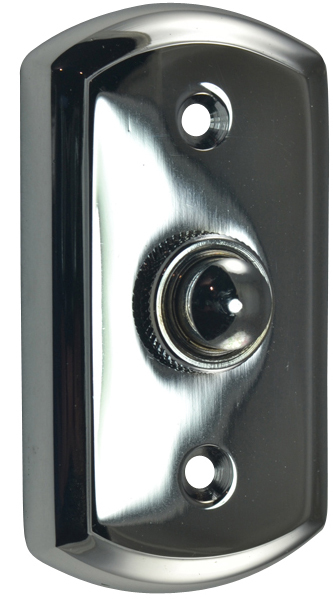 3 1/8 inch solid brass doorbell button (Polished Chrome Finish) - mounts with two brass screws (included) and it has two lead contacts on the back. Measures 3 1/8 inches by 1 3/4 inches. Uses 24 volt maximum (standard doorbell circuits).